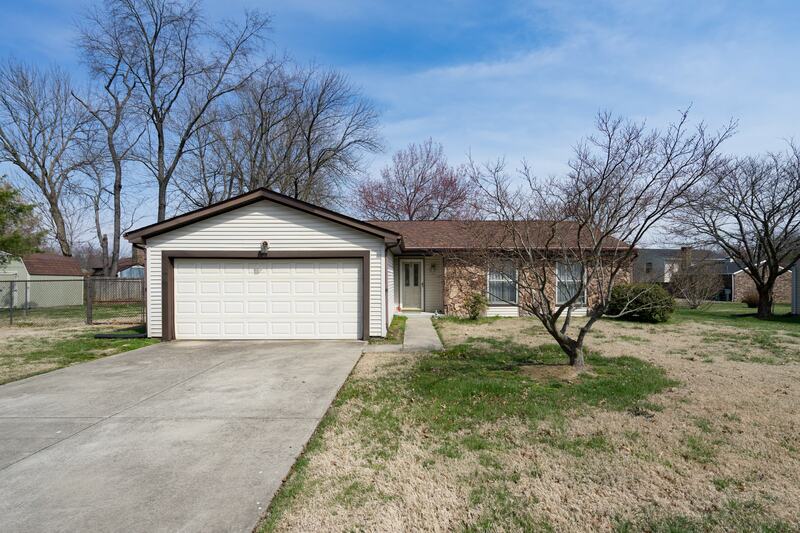 Carol Teitelbaum Estate Auction — Harritt Group, Inc.
One level 3 bedroom – 2 bath ranch home with attached 2 car garage centrally located in New Albany off Klerner Lane just minutes to I-265. Also selling contents including HE washer and dryer, art, musical instruments, furniture, antiques and collectibles. One level 1436 square foot vinyl & stone ranch home built in 1977 with attached 2 car garage on .25 acre lot. Home features 3 bedrooms including master suite with walk in closet, 2 full baths, great room with stone fireplace and vaulted ceilings, eat in galley kitchen with updated appliances, tile floors, recently replaced carpet, central air, electric heat and side fenced yard. Great opportunity to own! Whirlpool Duet HE front load washer & dryer, upright Oreck XL vacuum & small kitchen appliances. 3-piece mission-style coffee & end table set, maple dinette set, Broyhill dining room pedestal table, (6) chairs and china cabinet, antique full size iron bed, many pieces of Corsi furniture including china cabinets, entertainment center and bookshelves, ladder back woven chair, childs rocker, office furniture, sofa and loveseat, recliners, night stands, armoire and folding chairs. True Tone saxophone, Selmer Bundy Saxophone w/case & Pan American clarinet. Large selection of stain glass art made by Gene Teitelbaum including holiday decor, mirror, miniature houses, trash can and windows, sun catchers & large selection of stain glass materials. Incredible Winslow Homer art collection including an original framed Gateway 1885 etching, (10) framed prints and several unframed prints, 1800’s Harper’s Weekly magazine prints, Robert Conley framed “Those Who Care” print and many other framed pieces of art. Made in England “Britains” toy soldiers, Ray Day Lilliput Lane village pieces, oil lamps, china doll, HMS Surprise 22” x 27” model ship, HMS Victory Trafalgar 200 Edition 12” x 17” model ship, ship bookends, vintage and modern binoculars, retro Kodak camera, silver plate dishes, pitchers, spoons and julep cups, flatware set, Louisville Stoneware julep cup, MA Hadley pottery, 51-piece Christmas dish set, travel shot glass collection, Saint Charles oak regulator clock, snow globes, milk glass, pyrex dishes, Indiana and Kentucky history books, vinyl records, movies, DVD’s, Coach purses and much more. Kitchenaid mixer, large selection of glassware, china & coffee mugs, lamps, hundreds of historical, fiction, nonfiction and coffee table books, flatware and other kitchenware items, Calphalon stainless cookware, Crosley record player, luggage, fishing poles, aluminum ladder, an assortment of hand and yard tools. I-265 to Grant Line Road Exit # 3. South to left on Mt. Tabor Road to left on Klerner Lane. 2/10 mile to left on Farmgate Drive to left on Plainfield Drive.